Shruti Haasan is touted as one of the busiest actors in the South Indian film industry. The talented daughter of Kamal Haasan is very much in demand in Tamil, Telugu, and Hindi film industries. The Srimanthudu actress has two big films lined­ up for release -- Telugu film Premam and Tamil film Singam 3. Shruti has also signed the upcoming film of her father and actor Kamal Haasan, Sabaash Naidu. The film also marks the first collaboration between the talented father-­daughter duo. And now, according to media reports, Shruti has started rejecting many film offers and has stopped signing new films. 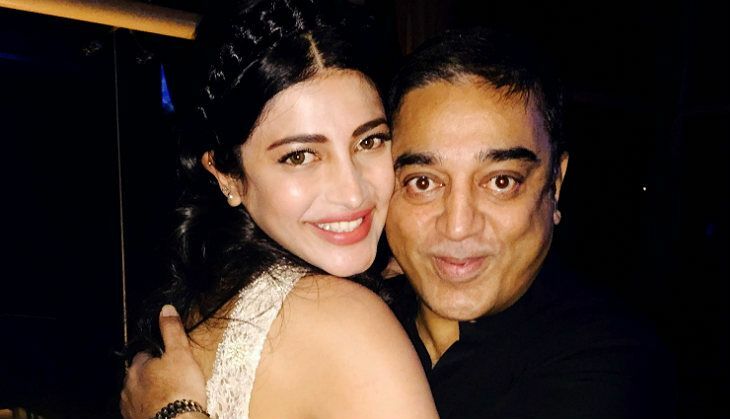 Since the last two months, the shooting of Sabaash Naidu has been shelved following Kamal Haasan's unfortunate accident that occurred on the sets of the film. The two­-time­ National­ Award­-winning ­actor is currently taking rest and the next schedule of Sabaash Naidu is slated to commence from November 2016. The Gabbar Is Back actress has reportedly rejected many films as she doesn't want Sabaash Naidu to face any further delays when the next schedule starts rolling in November.